Brintons have transformed the reception of the the Grade II listed building for the second time with premium, bespoke carpets. 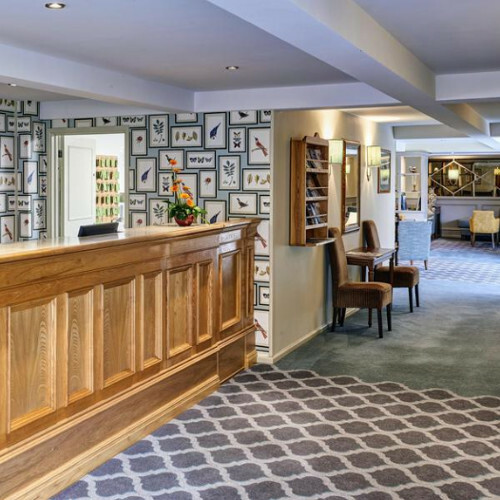 The King’s Court Hotel commissioned Brintons to create a contemporary design to provide a sense of continuity between the building’s authentic 16th century facade and the modern refurbished interiors. Brintons collaborated with Abi Perry Jones at Jones architecture+design to carefully construct a pattern fit for the reception area of the hotel, to add immediate impact as guests arrive at the property. "We approached Brintons specifically for this project as we knew that they had the creative expertise to realise our concept design. From experience, Brintons make the process really easy from design to installation. 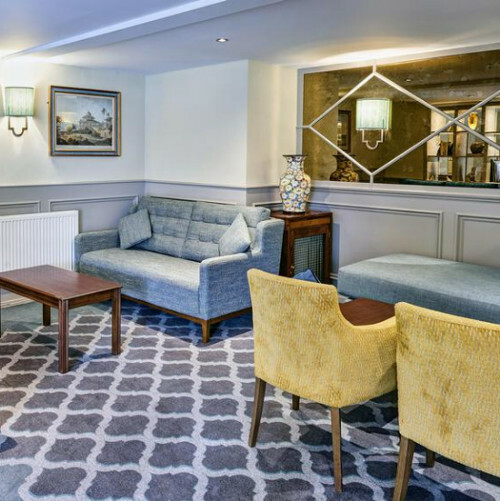 The resulting carpet is now installed and has exceeded our expectations - it is a timeless pattern with a bright and fresh, contemporary colouring. 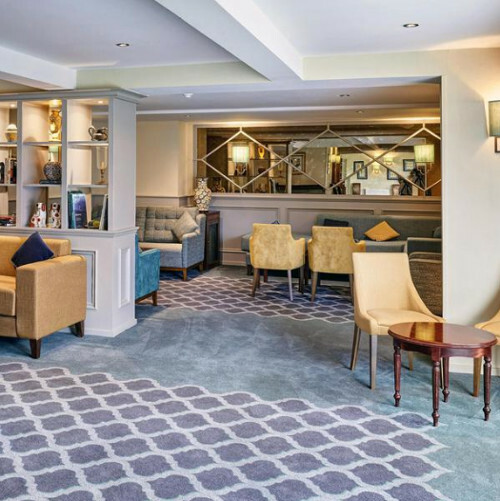 The carpet is a fundamental part of our design scheme and sets the scene for really great hotel experience." This bespoke pattern is an original and new design by the Brintons team and is woven in the Brintons signature 80/20 blend of 80% wool 20% nylon. The contemporary style carpet uses grey and blue tones with fleeting accents of colour. Floating panels have been incorporated as a unique, modern feature, with patterns designed to reflect the ornate wall light fittings.